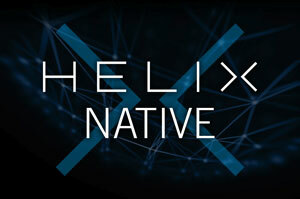 This update includes bug fixes and optimizations. This version of Line 6 Updater includes minor bug fixes. For OS X 10.9 Mavericks support, please use Line 6 Updater 1.13 or earlier. 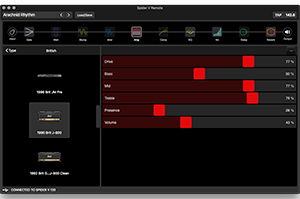 This version of Line 6 Updater contains latest device support and bug fixes. This version of Line 6 Updater resolves issues with OS X 10.9 Mavericks. Note: This is the final version of Line 6 Updater which will include OS X 10.9 Mavericks support. 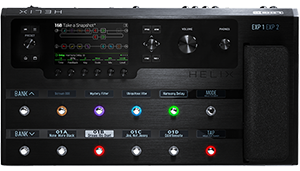 This version of Line 6 Updater adds support for HX Effects. This update includes minor big fixes. This update adds support for Spider V.
This update adds support for new products. Line 6 Updater v1.04 for PC can be used to update the Relay G70 Receiver, Relay TB516 G Transmitter, Helix, AMPLIFi and Firehawk firmware, via USB. AMPLIFi and Firehawk customers: Download and install the latest AMPLIFi or Firehawk driver from Line6.com. Please connect your device directly to a USB 2.0 port on your PC. USB hubs are not supported. Please install firmware v1.03 on the Relay G70 receiver and on the Relay TB516 G transmitter for improved performance. Please connect the Relay G70 Receiver to your PC through USB, and power the receiver on. The G70’s display should remain on the “LINE 6” screen, indicating it is ready for update. If it does not remain on that screen (i.e., if it boots completely), please turn the receiver off and back on until the “LINE 6” screen remains. In some cases with certain USB ports, it is possible that this may take more than one attempt. Once the “LINE 6” screen remains on your G70, please launch the Line 6 Updater app and follow the instructions that appear to update your device. Please remove the batteries from the Relay TB516 G Transmitter before connecting it to your PC through USB. Once the batteries are removed please connect your transmitter to the PC. The very first time you connect the transmitter to a new USB port, you may see a window indicating that a USB driver is being installed. If this occurs, please wait until that driver installation process is complete (this may take around two minutes, or longer in some cases). Next, please launch the Line 6 Updater app, and follow the instructions that appear in order to update your device. Please disconnect the G70 receiver from your computer’s USB and close the Line 6 Updater app. Reconnect the receiver to your computer’s USB and make sure its power switch is in the “I” (on) position. The receiver should display “LINE 6” and this should remain on the display. If it does not, please disconnect the G70 receiver and then reconnect it to your computer’s USB, so that you see it continues to display “LINE 6”. In some cases, it is possible that this may take more than one attempt. Once the “LINE 6” screen remains displayed on your G70, please launch the Line 6 Updater app again, sign in with your Line 6 username and password, and follow the instructions that appear to update your Relay G70 Receiver. Please disconnect the transmitter from your computer’s USB and close the Line 6 Updater app. Insert a pair of batteries into the transmitter. Power the transmitter on and leave it on for at least 5 seconds. Remove the batteries from the transmitter. Reconnect the transmitter to your computer’s USB. Launch the Line 6 Updater app again, sign in with your Line 6 username and password, and follow the instructions that appear to update your Relay TB516 G Transmitter. Line 6 Updater v1.04 for Mac can be used to update the Relay G70 Receiver, Relay TB516 G Transmitter, Helix, AMPLIFi and Firehawk firmware, via USB. Firehawk customers: Download and install the latest Firehawk driver from Line6.com. Please connect your device directly to a USB 2.0 port on your Mac. USB hubs are not supported. Please connect the Relay G70 Receiver to your Mac through USB, and power the receiver on. The G70’s display should remain on the “LINE 6” screen, indicating it is ready for update. If it does not remain on that screen (i.e., if it boots completely), please turn the receiver off and back on until the “LINE 6” screen remains. In some cases with certain USB ports, it is possible that this may take more than one attempt. Once the “LINE 6” screen remains on your G70, please launch the Line 6 Updater app and follow the instructions that appear to update your device. Please remove the batteries from the Relay TB516 G Transmitter before connecting it to your Mac through USB. Once the batteries are removed please connect your transmitter to the Mac. The very first time you connect the transmitter to a new USB port, you may see a window indicating that a USB driver is being installed. If this occurs, please wait until that driver installation process is complete (this may take around two minutes, or longer in some cases). Next, please launch the Line 6 Updater app, and follow the instructions that appear in order to update your device. Line 6 Updater v1.03 for PC can be used to update the Relay G70 Receiver, Relay TB516 G Transmitter and Firehawk firmware, via USB. Please install firmware v1.03 on the G70 receiver and on the TB516 G transmitter for improved performance. Please connect the Relay G70 Receiver to your PC through USB, and power the G70 on. The G70’s display should remain on the “LINE 6” screen, indicating it is ready for update. If it does not remain on that screen (i.e., if it boots completely), please power turn the receiver off and back on until the “LINE 6” screen remains. In some cases with certain USB ports, it is possible that this may take more than one attempt. Once the “LINE 6” screen remains on your G70, please launch the Line 6 Updater app and follow the instructions that appear to update your device. Line 6 Updater v1.03 for Mac can be used to update the Relay G70 Receiver and Relay TB516 G Transmitter firmware, as well as Firehawk firmware, via USB. Please connect the Relay G70 Receiver to your Mac through USB, and power the G70 on. The G70’s display should remain on the “LINE 6” screen, indicating it is ready for update. If it does not remain on that screen (i.e., if it boots completely), please power turn the receiver off and back on until the “LINE 6” screen remains. In some cases with certain USB ports, it is possible that this may take more than one attempt. Once the “LINE 6” screen remains on your G70, please launch the Line 6 Updater app and follow the instructions that appear to update your device. Please remove the batteries from the Relay TB516 G Transmitter before connecting it to your Mac through USB. Once the batteries are removed and you have connected your transmitter, please launch the Line 6 Updater app and follow the instructions that appear to update your device. The Line 6 Updater for PC can be used to update Firehawk FX firmware via USB. In order to connect a Firehawk FX to this updater, please download and install the latest driver for Firehawk FX from the Line 6 software downloads page. The Line 6 Updater for Mac can be used to update Firehawk FX firmware via USB.